Over the last ten years, a significant change has been in motion when it comes to brand promotion. We have transitioned from the age of differentiation to cultural resonation. Ten years ago, a brand could get by if they promoted all the USPs of their brand and how that made them superior to their competition. Brands need to culturally resonate with their audience. And this resonation needs to be cohesive, touching the audience at every touchpoint in their customer journey - from social advertisements to checkout. It’s likely that this information is nothing new to you. But the question remains: How do I gain insight so in-depth that I can be embedded into the culture of my brand’s target audience? Funny you ask. That’s exactly what we’re going to cover by taking a deep dive into the possibilities using psychographic data to gain unique Customer Intelligence. In case you haven't heard the term Customer Intelligence before. It is the outcome of learning about individuals, so you can build more meaningful customer relationships and understand their buying behavior. This customer data can be collected through data analysis (behavioral, transactional, psychographic, and demographic data) and is nicely combined with insights gained from interviews, surveys, or focus groups. Google Trends Customer Intelligence January 1, 2015 - September 20, 2018. Customer Intelligence as a term has been around for the last decade. But, in recent years it has grown in popularity as an increasing number of brands begin to see its value. It allows you to understand your customers on a more personal level by recognizing their behavioral patterns, motivations, and interests. Given the tools your company already has, setting up a process to gain this actionable insight is easier than you may think. The possibilities that data opens up can come with a bittersweet relationship. On one side, the immense volume of data on your customers can be a beautiful thing. The marketers of yesteryears would be drooling over the thought of having every customer action tracked and saved. For most of us, however, this can be straight intimidating. We are continually drowning in data with little ability to sift through it to find the most interesting points. It doesn’t have to be this way. In fact, I will go as far as to say that given a bit of guidance, you can explore your data with direction and knowledge of how to make the right interpretations. 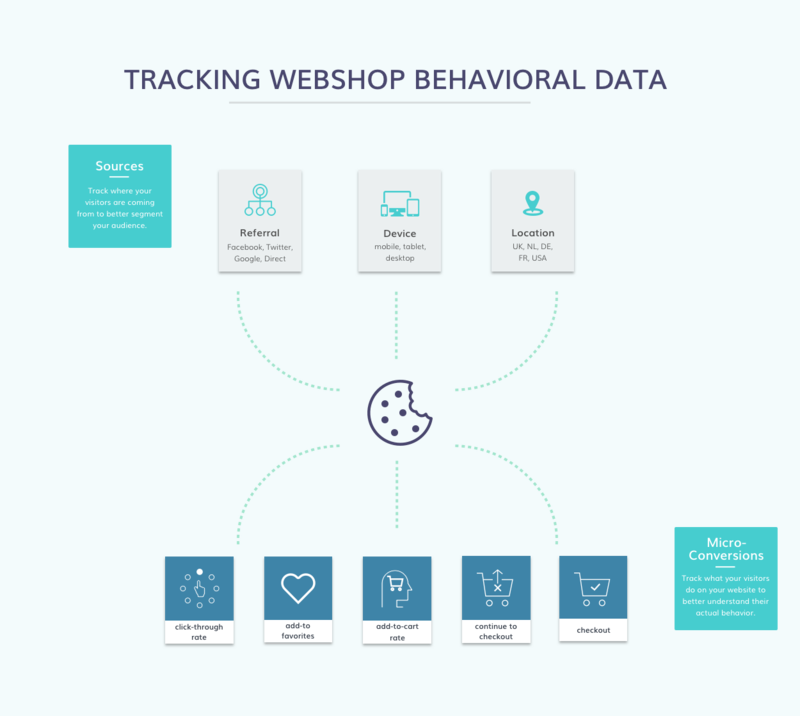 Behavioral data points that can be collected with a tracking cookie on webshops and seen on tools like Google Analytics. Behavioral data is the information collected based on an individual’s actions on a site, which is generally collected through a tracking cookie. This specific form of data holds the promise of uncovering the characteristics of your website visitors. It differs from other static data points (like demographic data), as it tells a comprehensive story of your visitors and their customer journeys. This dynamic feature makes it a hidden gem for data-driven marketers. It can provide insights into the bottlenecks that your website visitors are experiencing. For example, it can identify significant drop-offs in the middle of the buyer’s journey. This can direct your team to look into what’s happening on the page. From there, you can start experiments with small changes and analyze the impact it has on the click-through and conversion rates. To put this in perspective, let’s say that you see a significant exit (or drop off) rate on your product listing page. In this situation, the first thing you need to do is put yourself in your visitors’ shoes. Does the filtering work correctly? Can visitors filter based on price, popularity, or newness? Can your visitors categorize based on size, color, price, style? 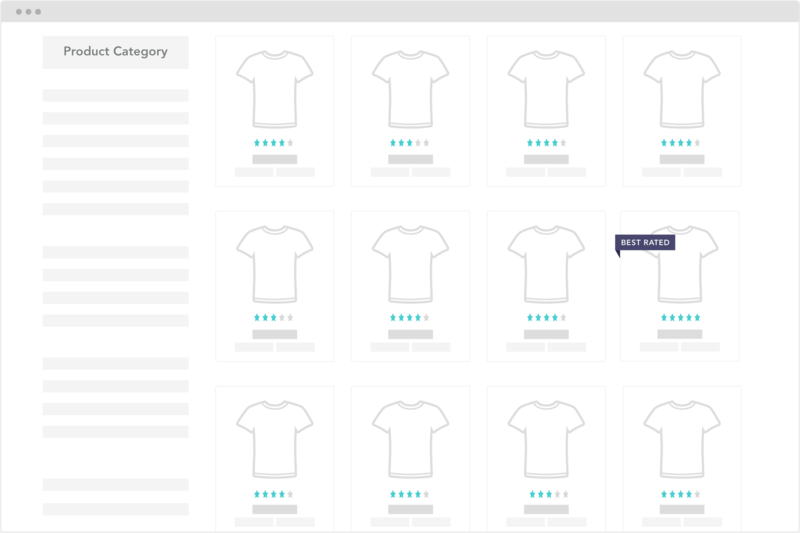 Especially retailers with large assortments will need to make it easier for users to sift through their catalog. 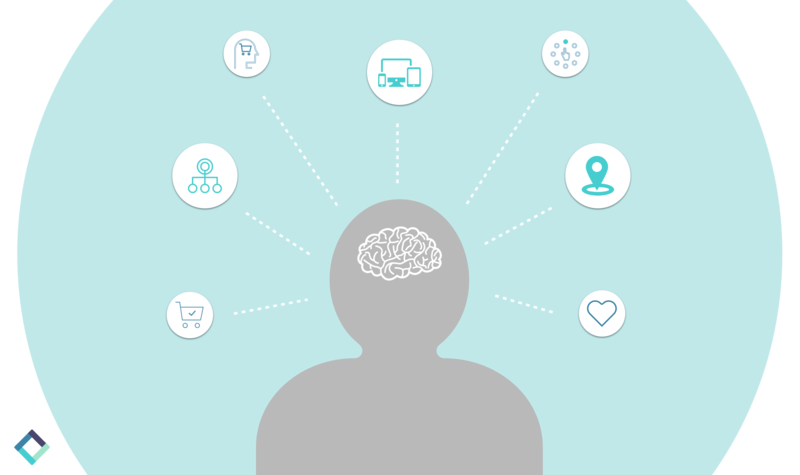 Are you using consumer psychology principles to help shape your users’ choice architecture? Try investing in applying these principles by using specific messaging, anchoring, or visual cues. I want to take a moment to zoom in on the last point, the use of psychological principles, as this is what can turn behavioral data into the high-quality Customer Intelligence you’re looking for. When it comes to using consumer psychology principles to optimize your website, there’s a unique opportunity to bring science and practice together in your psychographic research. 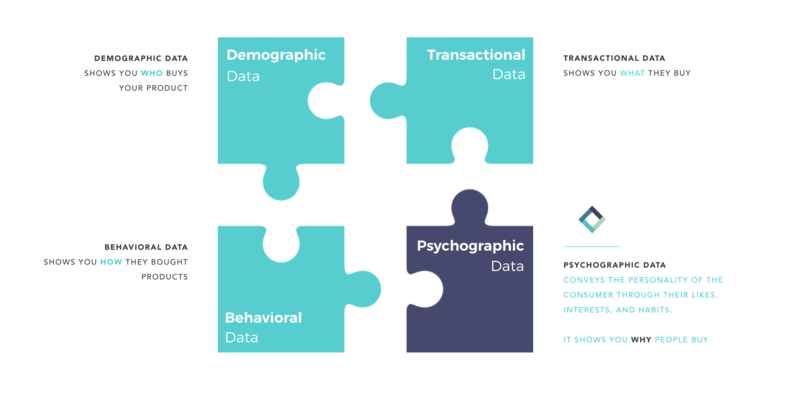 Here’s how you can combine different disciplines to turn your behavioral data into psychographics. 1. Look into psychological research. Before you analyze your behavioral data, you need to lay some groundwork for setting up the psychological experiments. There are various resources you can consider to learn more about using consumer psychology on your eCommerce site. Here are several articles that we’ve published that might be a good place to start laying your foundation of knowledge. Evolutionary Psychology of eCommerce: On the Origin of Shopping: This post discusses how we have we have evolved as a species to respond to certain drives in the eCommerce environment. It offers some practical advice about how you can tap into these in your eCommerce strategy. Understanding and influencing online behavior with persuasive design: Introduces the theoretical model behind persuasive, behavior-driving design and relates this back to eCommerce. Offering some practical approaches you can use. How to trigger consumer behavior with subconscious marketing: Explores the idea of subconscious decision-making and introduces some useful persuasive techniques to get started. Once you’ve learned the basics, you can move onto more advanced approaches like reducing choice overload, implementing behavioral economics principles, avoiding marketing resistance, and increasing user fluency. Alternatively, if you’re looking to gain information elsewhere, Coglode, ConversionXL, GoodUI, and Nir Eyal are good places to look. Equipped with this practical knowledge, you’re ready to start finding places to apply the theories on your website! 2. Match your product selection to psychological theories. Drawing from the articles discussing the Evolutionary Psychology of eCommerce and Choice Overload, you know now that humans are constantly looking to reduce stress. To help your visitors with this, you will want to start implementing product labels on select products. To do this, you may start filtering your most popular products and implementing social proof messaging like “Bestseller,” “Most Popular,” or “Best Rated” labels on the products and A/B testing the results. The list of persuasion techniques and psychological principles you can employ on your website is long - we use around one-hundred in our experiments (with another hundred copy-variations)! So it’s best to start small and work up from there. For more inspiration on how you can design your labels and messages, check out this blog post. After your tests start to hit an acceptable confidence level (we set this at 95%). You can begin making interpretations of the data. At this point in the process, it’s critical to consider your users’ micro-conversions. Micro-conversion are small actions your visitors make on the website that can be measured by analyzing the Click-Through, Add-to-Cart, or Checkout rates (see figure above). Great! Then use that tag on all the appropriate products. Alternatively, perhaps, on the Product Detail Page, you see that when you add, “Only 10 left of this size,” you see an increased Add-to-Cart Rate (you should only use that scarcity tag if it is true, it’s not worth losing the trust of your shoppers). Once you’ve analyzed the results of all your tests, start implementing the winning copy variation and monitor the effects on your overall Conversion Rate. Taking this one step further, you can take this behavioral data and turn it into psychographics. Psychographics are characteristics that explain a person’s motivations, interests, and behavior (see here for an introduction to psychographic profiles). You do this by taking your insights of what psychological principles your customers are responding to best and diving back into the theory. Pro Tip: If you segment your audience, you can see differences between cultures, devices, or sources. Perhaps you will find that your visitors from The Netherlands (e.g., authority) respond differently to messages than those in Germany (e.g., social proof) or the United Kingdom (e.g., novelty). With the segment differences in hand, you can use these to explain the differences per segment. For example, maybe your customers in Germany are more uncertain about which products to buy and rely strongly on popularity cues. And those in the Netherlands are convinced when they see an expert’s recommendation. Lastly, United Kingdom visitors want to be the first to use the product or service. With psychographics in hand, you’re ready to use these to refine your customer personas. Psychographics can be easily added to the profiles you have probably already created with your demographic and transactional data, as well as any information you’ve collected from conducting customer interviews or focus groups. Looking to take this even further? Check out our blog post on creating Dynamic Customer Personas with the Shopping States Framework. 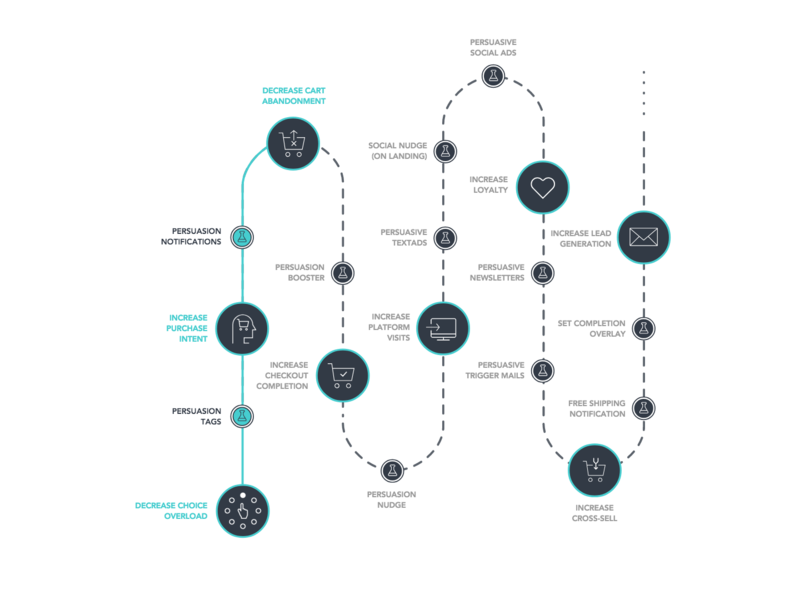 Additionally, you can use this intelligence omnichannel, ensuring that your segments are always receiving the most relevant message possible. For example, let’s say that after six months of testing, you find that visitors coming from Facebook on an iPhone in the UK respond particularly positively to novelty and authority. You can use these insights to formulate your Facebook advertising campaign, using words that align with those psychological principles in your copy. 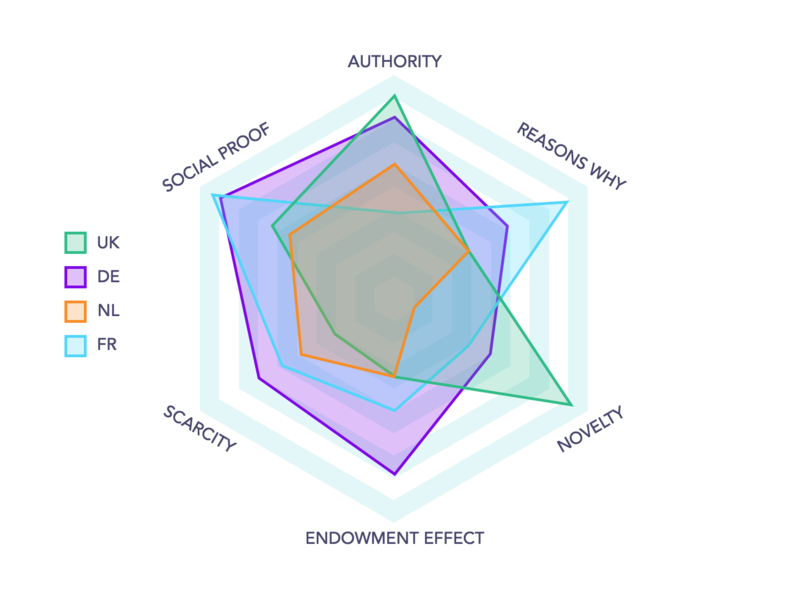 Why is Psychographic Customer Intelligence important? The Psychographic Customer Intelligence that you generate will lead to real-time insights on the actual behavior of your website visitors. Measuring behavior is a much more accurate approach to learning about your customers because false intentions or beliefs don’t pollute it. How would false intentions or beliefs pollute your intel - you ask? Well, we, humans, have a hard time predicting our behavior because so much of it is decided upon in the moment. In general, our brain tries to minimize all effort by using mental shortcuts or heuristics. Because of this, even the most well-intentioned individual can be blind-sighted by these shortcuts and end-up truly believing X is the reason why they did Y. And, if they for some reason don't like that conclusion, they can just change their attitude in order to make it more congruent with their behavior (to prevent Cognitive Dissonance). Marketers and Customer Experience professionals need to keep this quirk of human nature in mind when they are conducting customer research. And, if possible, use the tools at their disposal to measure real behavior, as the results that were collected yesterday might not reflect the reality of today. By now, you may be scratching your head, wondering if you are capable of implementing these changes into your organization by yourself. Well, fear not. 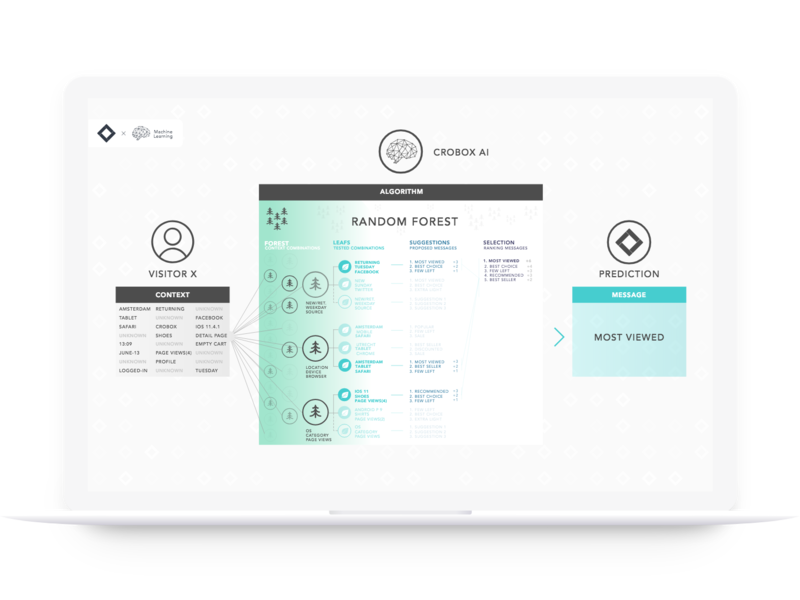 At Crobox, we’ve developed a solution that uses AI to turn behavioral data into psychographics. Through a combination of data engineers, data analysts, and consumer psychologists, we offer a full-service software that comes equipped with the persuasion techniques, designs, and trigger conditions to implement on your website. If your team doesn’t have the bandwidth to start these experiments alone, there are several benefits to hiring a company like us to do it for you. Even though psychology is one of the most approachable fields of discipline, working with experts with broad experience and knowledge of psychology can help speed up the learning curve. At Crobox, our experts have been implementing similar experiments and translating their results for years. This guidance will ensure that you are starting off on the right foot and making accurate interpretations of the behavior you’re observing on your website. 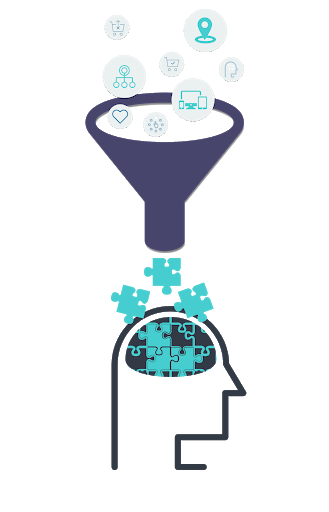 By combining our persuasion database with machine learning algorithms, the Crobox AI can predict and test the best possible combinations of psychological principles, copy-variation, design, and place in the buyer’s journey to ensure maximum impact. And its impact doesn't (need to) stop here, as you can apply these insights in other channels to optimize the effectiveness of your campaigns (e.g., emails). AI opens the doors to running hundreds to thousands of experiments simultaneously. This will lead to faster iteration and more reliable results. Learn more about our Persuasion Software. By working with an established company, your Customer Intelligence will be provided in a way that is actionable. 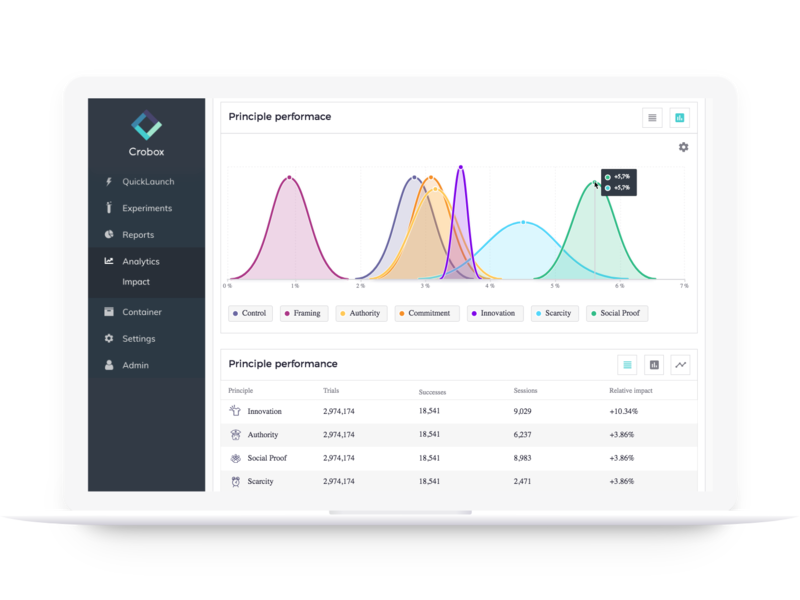 The generated insights can be easily implemented into your CRM, CDP, or DMP, so your entire team has access to the knowledge. This will make it easier to share cross-team when conceptualizing paid ads, refining your personas, or improving your customer experience approach. Learn more about our Customer Intelligence. With this quick introduction to turning your behavioral data into Customer Intelligence, it’s time to get started with experimentation! As you move forward on this exciting journey, be sure to track all your results and continuously iterate on what does and does not work. Customer Intelligence is no longer a nice to have. You need this information to resonate with your audience. You have the tools to create valuable, real-time Psychographic Customer Intelligence by leveraging your behavioral data. By tracking micro-conversions, you can monitor your users’ behavior and psychological tendencies. When using psychological principles on your webshop, you can learn more about what motivates and drives visitor behavior and generate psychographic data. To get the full value out of this approach, it might be worth looking to invest in a solution like Crobox that uses AI to optimize the process. That’s all for now if you’re looking to learn more about how Crobox works. Check out our white paper or reach out directly!